The Big Apple is one of the most beautiful places you’ll ever visit. We love it so much that we have already showed you the ins and outs of NYC. 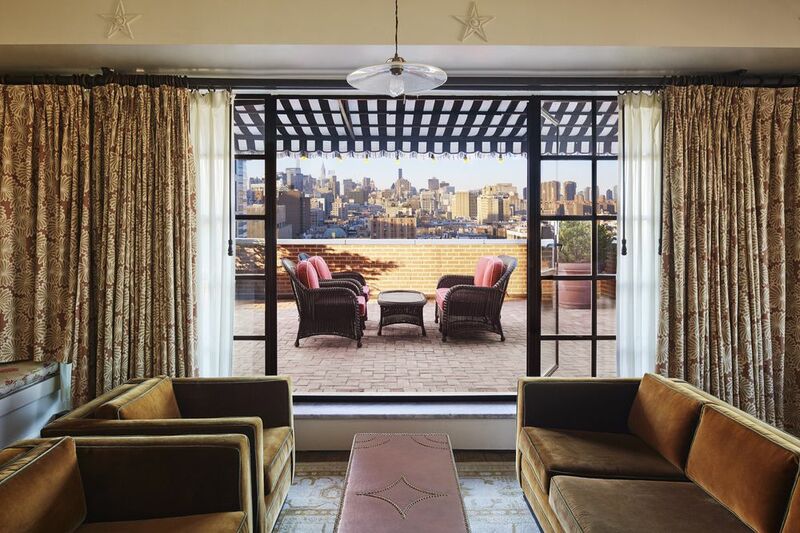 If you were inspired by our article to make an extended trip to New York, then you will want to stay in a place that offers a good view of the famous city. And New York certainly has plenty of viewpoints with Yoreevo explaining that the city has over 13,500 buildings that are over six stories high. Whether it is looking over the river or the famous Central Park, here are the best NYC hotels with a view. This sleek 18-storey tower offers what Conde Nast Traveler describes as the most dramatic view you will find downtown. It’s famous for its bedrooms that have floor-to-ceiling windows offering views of either the city or the Hudson River, depending on where the bedroom is located. 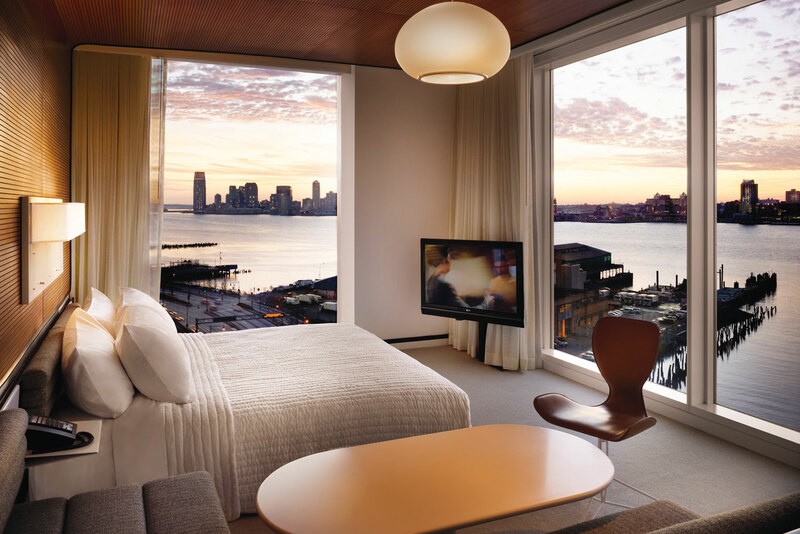 The views are one of the main reasons why people book a stay at The Standard, alongside its inviting, minimalist design that seamlessly incorporates futuristic and retro elements. Staying at the hotel will make you feel like you’re floating above the city, as the property sits on giant concrete stilts above Manhattan’s famous High Line. The city opens up right before your eyes when you stay at New York Downtown. Forbes Travel Guide notes that all of the windows have breathtaking views of the city, including the Santiago Calatrava-designed Oculus, a $3.9 billion art structure in the World Trade Center Transportation Hub. Suites with a terrace offer views of either the Manhattan skyline or Central Park. All of the rooms in New York Downtown have a great view, but if you’re looking for something that will leave you in awe, you can book the King Room with a balcony. The view of the city skyline, Chrysler Building, and the Hudson River is definitely worth the extra money. The Bowery is a stylish hotel that offers guests plenty of good views across the East Village. The rooms have a combination of old-school sophistication and punk rock, and the hotel bar provides some wonderful night time entertainment. The hotel is ideal for guests who are looking to get away from the traditional downtown hotels. 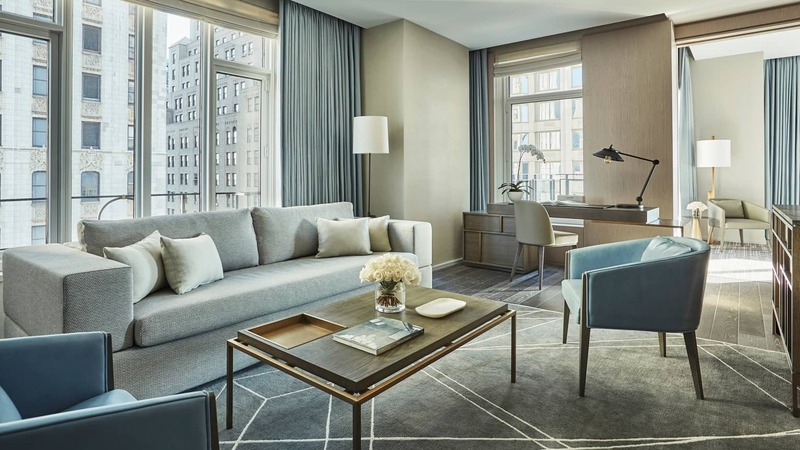 Situated right in the heart of the city, the Langham is not only in an ideal location, but it has magnificent views of the Big Apple’s most notable landmarks. From your room, you will be able to see the Empire State Building, surrounded by equally iconic places like the New York Public Library and 5th Avenue. If that’s not relaxing enough, you can go to the hotel’s spa, which features relaxing treatments and massages. 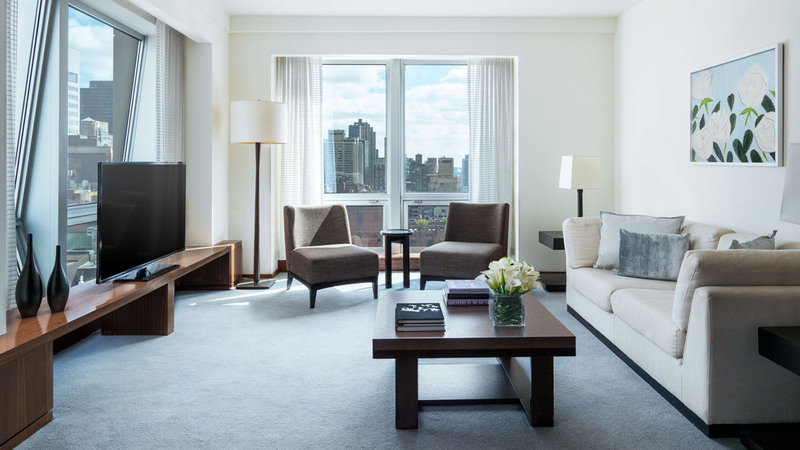 You can never go wrong with the Langham, because of its contemporary rooms and upscale amenities and services. In case these hotels get you thinking of living in New York for good, the future Central Park Tower building will be your best bet for a room with amazing views of NYC. Arch Daily already calls it the definitive New York Skyscraper and states that it will be open in 2020. 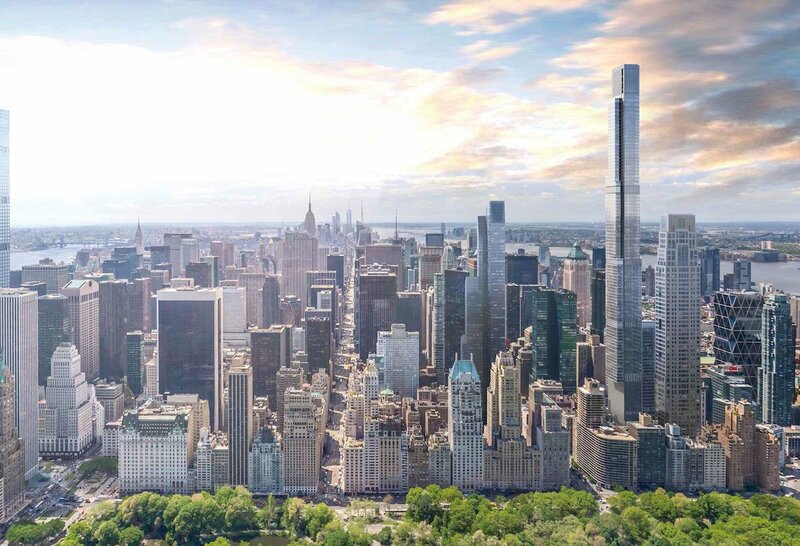 Reports also show that the tower will be set back from the street edge to maximise views of Central Park. So if you want to sleep amidst the New York skyline’s twinkling lights, Central Park Tower will be the best choice.